by Tessa Schlesinger. Raw coconut oil is probably the most underrated beauty find there is. Superior to olive oil in many ways, it's an essential for healthy and beauty. There’s one product that I have never without when it comes to health and beauty, and haven’t been without for more than 45 years. 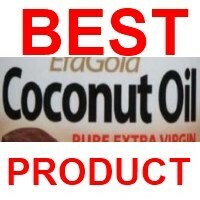 Coconut Oil is the best health and beauty product I have ever used, and I want to share with you why I say that. One of the big issues with modern suntan products is that they prevent the absorption of the 'happiness vitamin.' That happiness vitamin, however, has turned out to be an essential hormone which provides quite a few functions in the body, not least of which is that it is vitally important for the development of vitamin D, and vitamin D, in turn, is vitally important for the prevention of osteoporosis and other conditions. I, of course, have an olive skin which does mean it protects me a little bit better than someone who has a very white skin. Within minutes of going into the sun, my pigment starts going brown. In days gone by, some would say that it wasn't the coconut oil that was protecting me, just my olive skin providing natural protection. That proved to be vastly untrue when I spent a day without my beloved coconut oil in the African sun. I got enormous sun blisters and they were very painful. I was also a cherry lobster red for about three days. Never again! Nobody ever believes my age. Currently in my early 60s, most people put me in my early or mid forties depending on my mood (lack of smile), the day, the weather, the food eaten, or whatever. In my early forties, I was stopped by the traffic police to check my licence because they were looking for teens driving without a licence. In the days that I dealt Roulette for Holiday Inn in Lesotho (a country in southern Africa), I overheard the following conversation between two old ladies. "She has to be sixteen. Holiday Inn wouldn't employ someone under the legal age limit." Well, I was the grand old age of twenty five at the time. Lush products, a natural product range include coconut oil in many of their moisturisers, and during the past thirty or so years, many pharmaceutical and beauty product companies have begun to include it in their products. Awesome cure-all for frazzled hair! If your hair is super dry, take a tip. Go buy some extra virgin coconut oil and massage it into your hair. Then go read a book, sit out in the sun, play a computer game, write a Wizzley article, or chatter to your best pal on the phone for about four or five hours. Then get a shampoo that removes all oil and other residues from your hair and wash well. Voila! You have outstanding hair. Coconut Oil is BEST OIL for frying. Because coconut oil has an extremely high point at which it becomes a solid (room temperature), it is an excellent oil for frying. This is because the oil doesn't produce the carcinogenic chemicals produced by all oil upon heating. That said, reheating any oil once it has been heated already, is highly toxic to the body - regardless of which oil it is. Trans fatty acids are chemically altered, man-made fats found in partially hydrogenated oils. The hydrogenation process, in common use since the early 20th century, injects hydrogen into vegetable fats under high heat and pressure. Mercolo's Recommdation (could be alternative hodge podge). 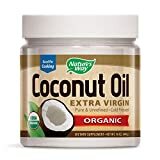 The truth about coconut oil is obvious to anyone who has studied the health of those who live in traditional tropical cultures, where coconut has been a nutritious diet staple for thousands of years. Back in the 1930's, a dentist named Dr. Weston Price traveled throughout the South Pacific, examining traditional diets and their effect on dental and overall health. He found that those eating diets high in coconut products were healthy and trim, despite the high fat concentration in their diet. Does Coconut Oil make you lose weight? If one wants to sell anything these days, with so many of us being a little heavier than we would like to be, all one needs to do in order to sell a product is say that it can be used as a weight loss product. Does it? This is a side of coconut oil I haven't seen. However, the theory is that one has one teaspoon of coconut oil every morning and that this breaks down the fat in one's body - or something like that. I cannot vouch for this. I do know that during the period I did take a teaspoon of coconut oil every morning, I did lose weight. However, I was also swimming 40 laps every morning, drinking Braggs Apple Cider Vinegar with Bicarbonate of Soda, and trying to be healthy in general. Oh, and I was dancing at the speed of light (well, relatively speaking) every second night. I will tell you that the juice of young coconuts is excellent and if you have the kind of money that will permit you to go to the Asian market and buy a couple of boxes per week and drink two or three of them every day, you will see a market improvement in your skin and health. During the second world war, the juice of young coconuts was apparently used for blood transfusions when the military ran out of blood because it has the same ph factor as blood. As with any other 'extra virgin' factor in oil, it is the first pressing and it is a cold pressing without the heated chemical process used for most oils these days. It is the tastiest, retains most of its nutrients, and is not tainted with the chemicals used in the ordinary variety. Personally, unless I'm using the product for suntan purposes, I always buy the extra virgin variety. Studies have show that intake of coconut oil can help our bodies mount resistance to both viruses and bacteria that can cause illness. Even more, it also can help to fight off yeast, fungus, and candida. One of the most impressive health benefits of coconut oil has to do with your heart. Years ago it was a common belief that all fats and oils were bad for the heart. Now we know coconut oil, along with a few others, can actually improve your heart health by reducing cholesterol. Consider using coconut oil when cooking. The coconut provides a nutritious source of meat, juice, milk, and oil that has fed and nourished populations around the world for generations. On many islands coconut is a staple in the diet and provides the majority of the food eaten. Nearly one third of the world's population depends on coconut to some degree for their food and their economy. Among these cultures the coconut has a long and respected history. One morning last month, Vrajlal Parmar got up, washed and dressed himself, and at 10am boarded the council minibus to a nearby leisure centre. In the evening, the 67-year-old former production line worker from London took the bus home. Nothing remarkable there — except that nearly a year earlier Mr Parmar had been diagnosed as being in the late stages of Alzheimer’s. Unless it is a very hot day, all coconut oil will be a solid white mass. In order to melt it down, run some hot water over it and it will soon become an oil. However, for cooking, you can just use a teaspoon as the heat of cooking will dissolve it. You will find it on both the health shelves and the cooking shelves at any supermarket. I tend to buy mine in the grocery section because the same thing costs less... Um. Yes. That's called marketing, by the way. You can change the price of anything depending on where you market it and to who you market it! Is coconut oil part of your lifestyle? So there you have it. If you aren't already using coconut oil, it's probably time you started!